It's time to double down. 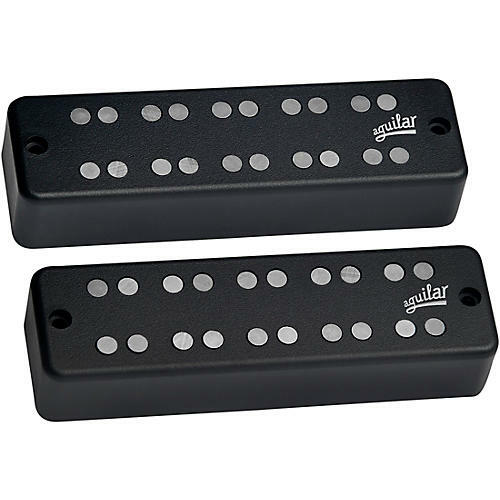 These pickups feature two rows of Alnico V pole pieces creating a thick yet articulate tone, complete with hum-canceling performance. A perfect blend of strong dynamics and rich complex overtones. Aguilar Amplification's DB series of electronics are covered under warranty to the original owner for a period of ten years from the date of purchase against defects in materials and workmanship. AG series electronics, GS series speaker cabinets, and S series speaker cabinets are covered by the warranty for a period of 3 years. Tubes are covered by the warranty for a period of six months. You are responsible for all shipping charges. You must ship the unit to us freight prepaid. We will return the unit to you freight collect. If the unit is being sent from outside the United States you will also be responsible for customs brokerage, if applicable. Please check with your freight forwarder for assistance. Aguilar Amplification LLC is not responsible for shipping damage, either to or from our service center. Claims must be filed with the carrier. The only company authorized to perform work under this warranty is Aguilar Amplification LLC of New York, NY.